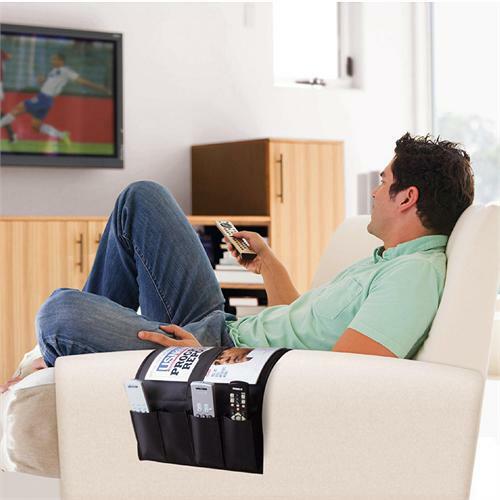 More on the Atlantic Over the Arm Remote Control Caddy (Black) 96635642 below. Attractive design that blends in to the arm chair and décor. 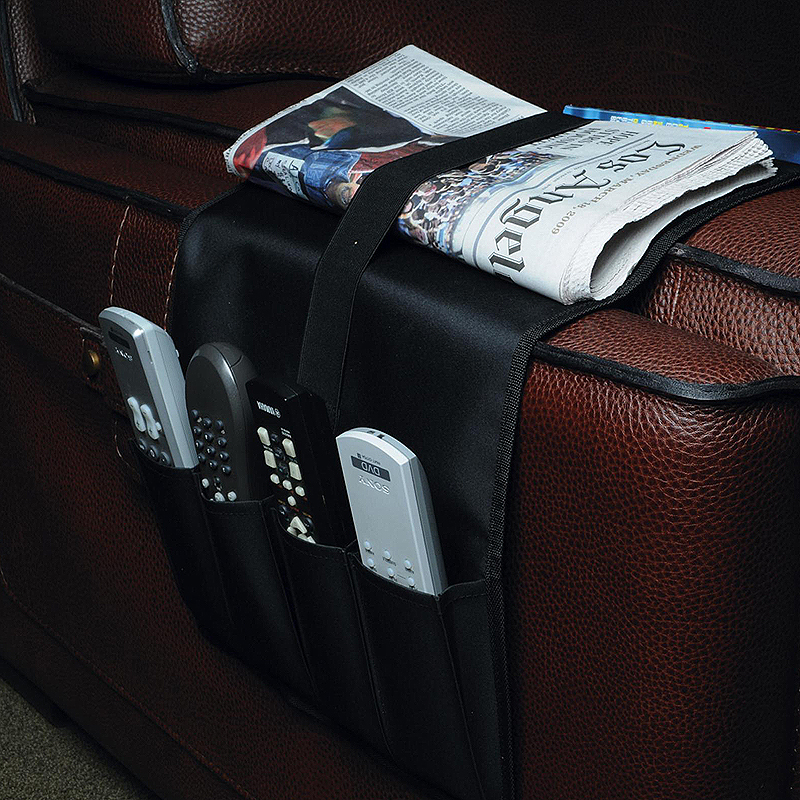 Allows for easy access up to 4 remotes, reading materials, reading glasses etc. Weighted end to fit snuggly into the arm chair. 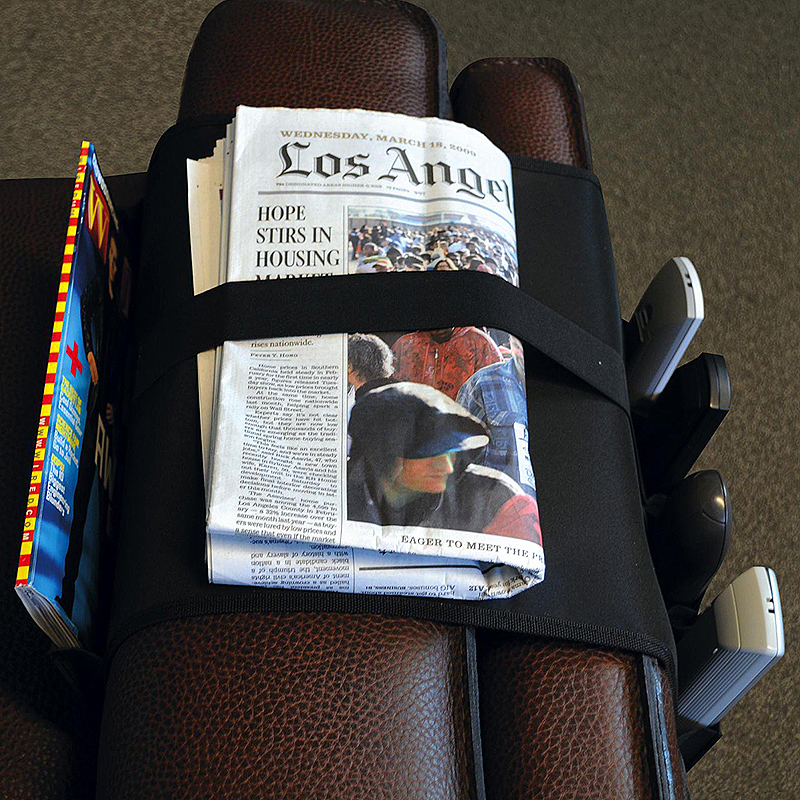 Magazine/Newspaper elastic band to hold in place.